PhonePe Recharge Offer : Get a Scratch card and win up to ₹75 cashback on 1st prepaid mobile recharge in February 2019. Scratch card under this offer will not be given to Jio Recharge customers. Minimum transaction amount of ₹35 to be paid through BHIM UPI, Credit / Debit Cards. Cashback amount will be random between ₹0 to ₹75 per eligible transaction. Customer’s repeat recharge on PhonePe has to be a Jio recharge of ₹149 & above. Cashback amount will be random between ₹5 to ₹75 per eligible transaction. 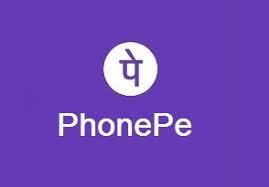 How to avail the PhonePe Recharge offer? 4. Select or Enter the mobile number you wish to recharge, check your Operator and Circle. 6. Click on recharge to complete the transaction. 7. Cashback will be credited as PhonePe gift voucher balance within 24 hours of successful completion of the transaction.